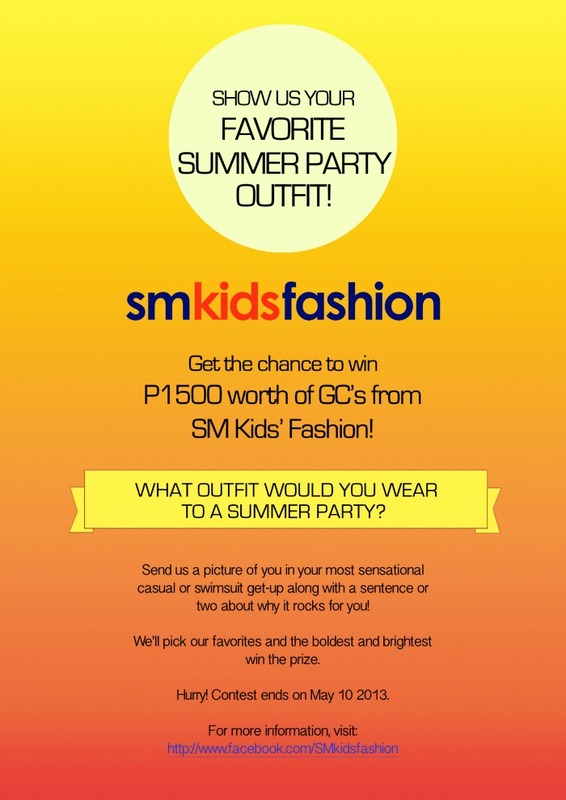 sm kids summer collection 2013 + giveaway (1 week only)! Kids grow up fast. Nikola manages to outgrow her clothes in six months. There aren't any younger kids in our family to pass her clothes to so we end up giving most away to charity. Since dressing her up means going shopping for a complete wardrobe at least twice a year, we can't spend a fortune on each trip. But that doesn't mean that I am willing to sacrifice style for frugality's sake. Fashion is one of my biggest passions and I enjoy dressing Nikola up in the latest trends just the same way I enjoy putting my own clothes together. She's like my "mini me" and although I don't consciously try to buy miniature versions of my clothes for her, we most of the time end up rocking the same trends together. She likes what I wear so she ends up picking out the same stuff. We went on a recent shopping trip at SM Kids Fashion in Megamall and we both went crazy. We were given a P1500 budget but I (naturally) ended up adding a few more hundred because there were just so many totally adorable pieces I could not resist getting for her. They had really cute swimsuits + neons, florals and boho-chic pieces in all shapes and sizes that were spot-on trend and of commendable price and quality. I got her several plain tank tops that make great foundation pieces for any outfit at just P199 a piece. I love these transitional pieces because she can wear them alone during the summer then layer when it starts raining again. 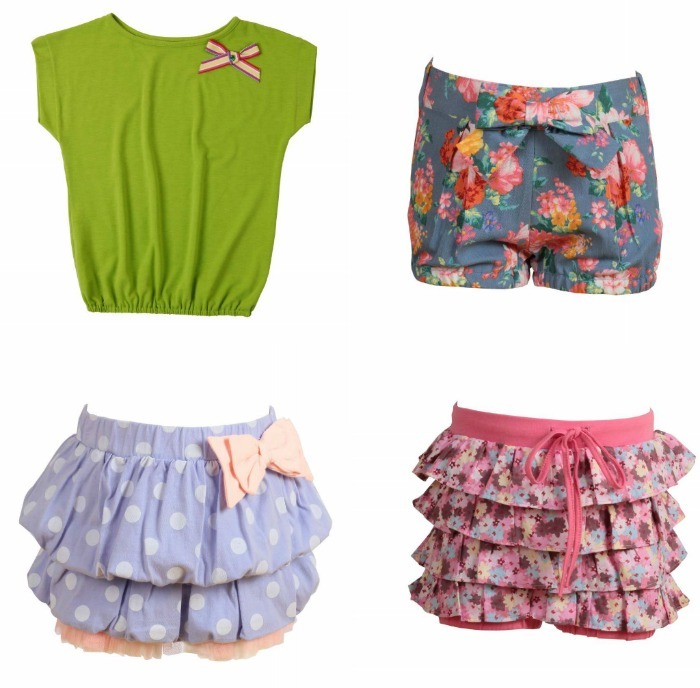 I was also able to get her several pairs of shorts which range from only P300-P400 a piece. Among these were a pair of really cute floral and studded denim shorts. I also found cute neon shirts and skirts for only P200-P300. After spending roughly P2000, I was able to buy her 8 pieces of clothing. Not bad right? That makes an average of only P250/ piece, beat that! A bit of wanring though, you must be mentally prepared with high EQ to prevent yourself from spending a small fortune there. I literally wanted to buy the whole store! 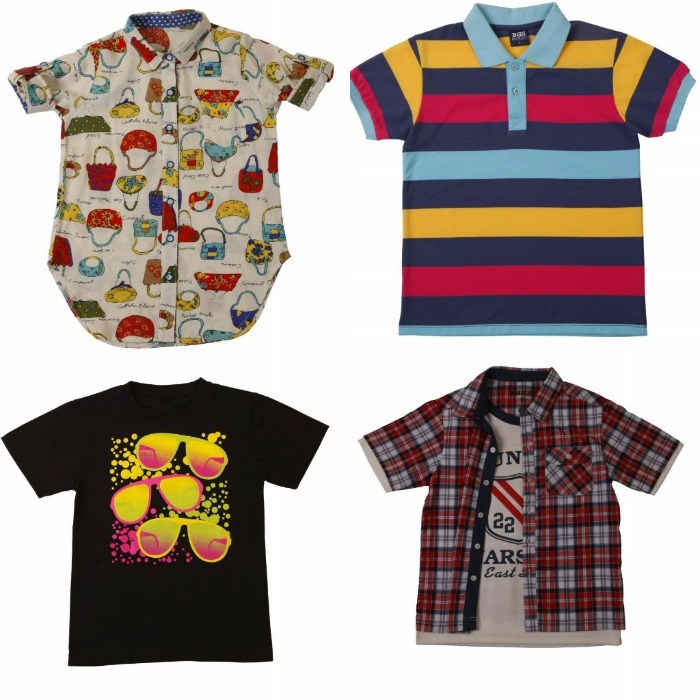 :P But kidding aside, if you're after trendy, budget-friendly kids clothing, SM Kids defintely is the place to go. I also find it very convenient because everything is on a single floor. I don't have to walk around the entire mall searching. 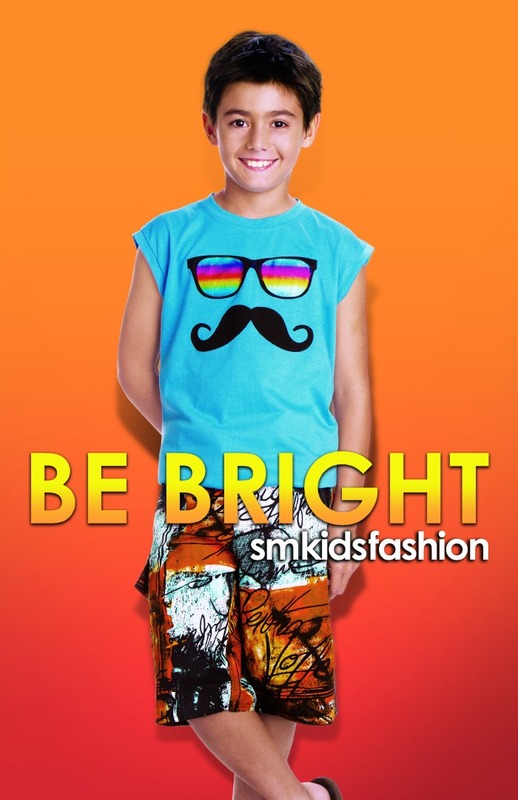 And now, SM Kids Fashion is giving you the chance to revamp your kids summer wardrobe for free! Fashion Eggplant in cooperation with SM Kids Fashion is giving away P1500 worth of SM Kids GC's for you to spend any way you like (ps. 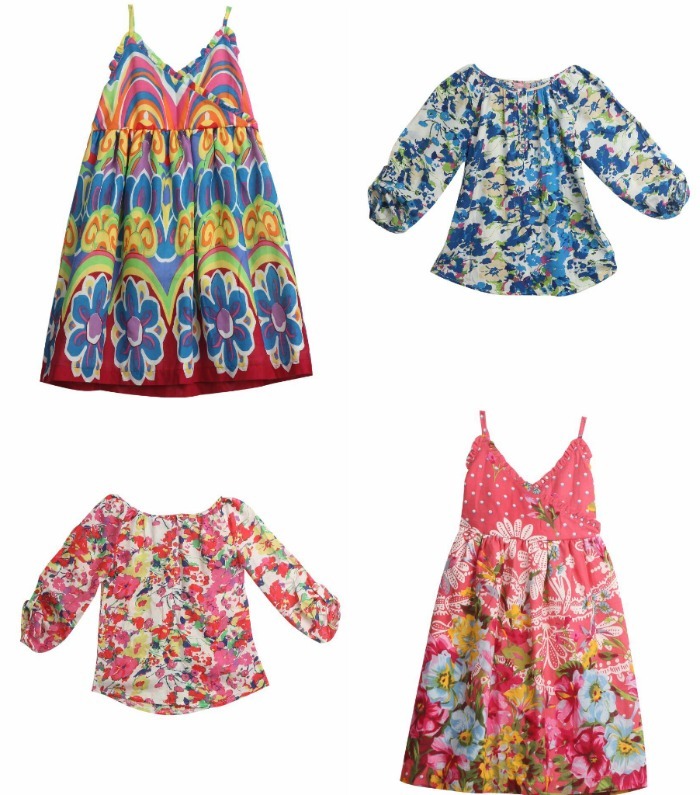 SM Kids fashion includes a tween line that has sizes big enough to fit us petite ladies). Tweet or share this giveaway on twitter/facebook with appropriate link. This contest will end on May 10, 2013. ARC Public Relations and SM Kids Fashion will pick the two best entries to be awarded with P1500 worth of SM Kids GC's each. Is it international?I'm from Russia. 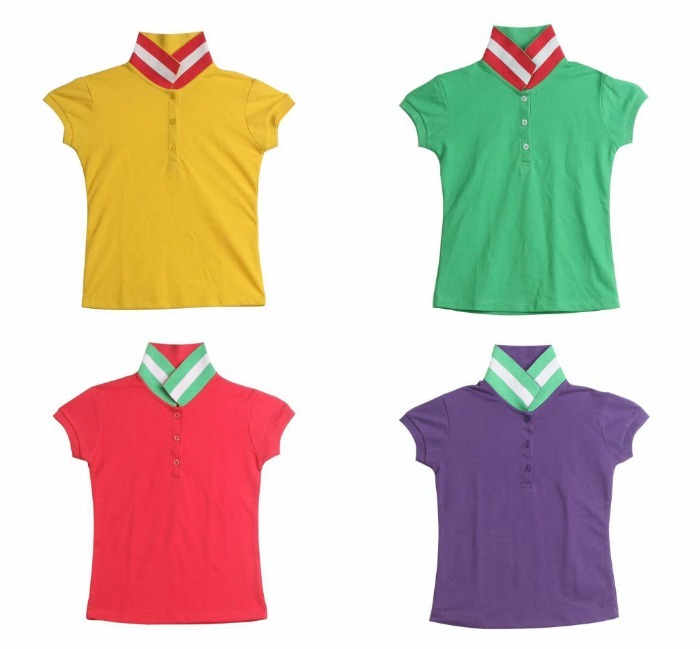 Aww... the girl top is just so cute.